Create magical memories with our Children's Fantasy series of artworks. 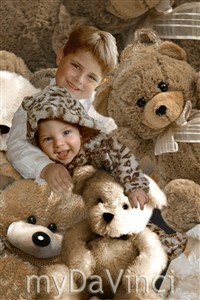 Our talented graphic artists will seamlessly place your child's photo into a fantasy filled masterpiece. I am very pleased with your work on this photo for me. 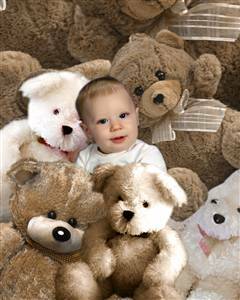 He looks so cute with the bears. Thank you.